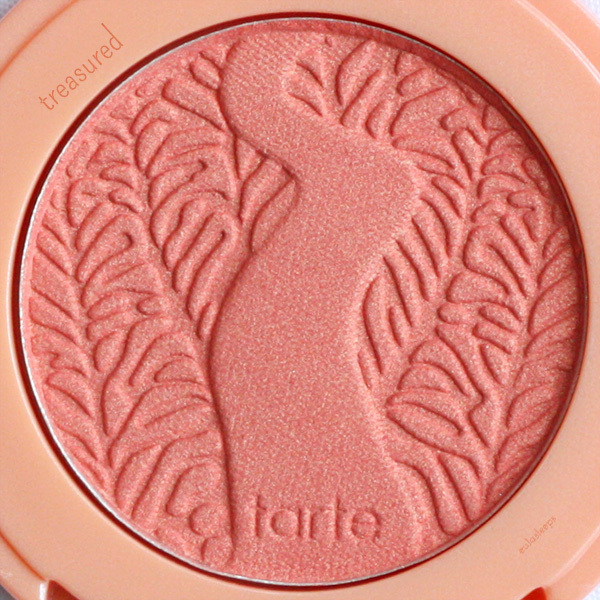 Last month QVC was running was an exclusive special on the Tarte Royal Flush 12-hour Amazonian Clay Blush Set, which is a set of four limited edition shades: Treasured, Honored, Imagined, and Meaningful. 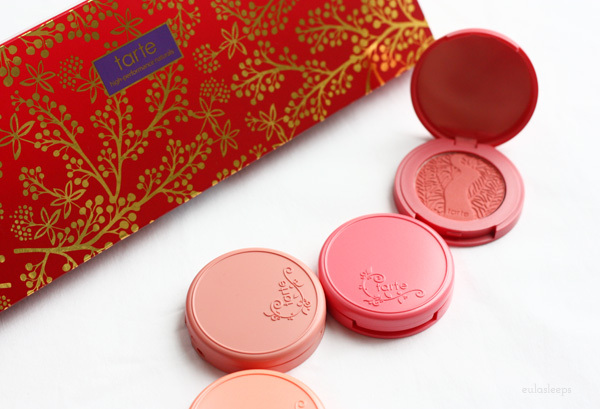 I figured it was a great chance to try the famed Tarte blush formula, so $29.12 USD and a few days later these arrived at the door. Look how cuuute! 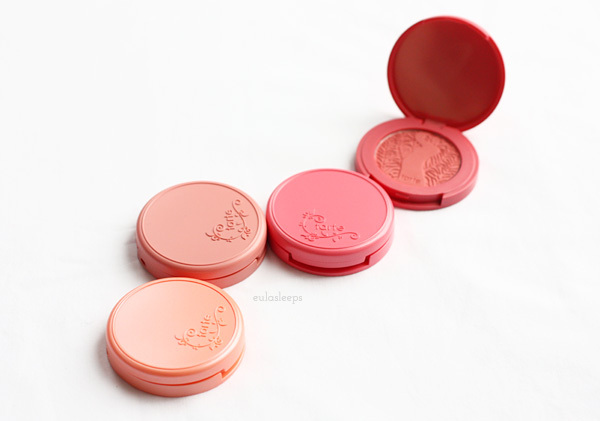 Like the full size blushes, these are housed in a plastic case, with the Tarte logo stamped on the pan. 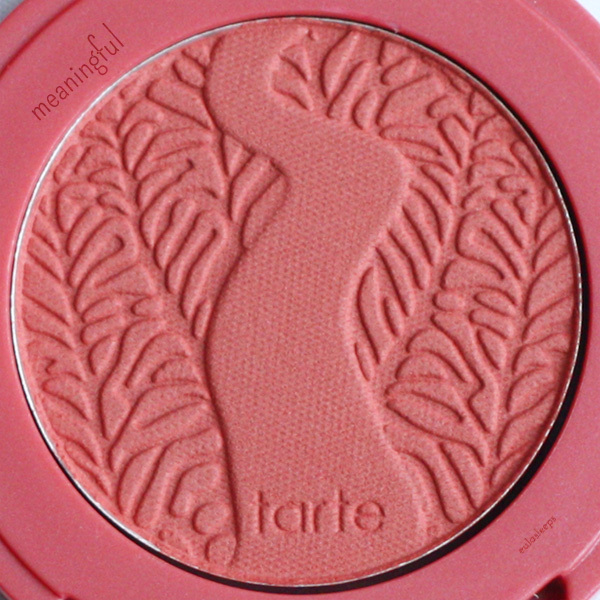 I appreciate that the cases match the actual blush color. A few differences between these and the full size: the minis are 1.5 grams each, have no mirror, and are made in China. The full size is 5.6 grams, contains a mirror, and are made in the USA. I have read that there is a slight difference in formula; the Chinese minis being slightly softer like usual blushes, and the US full sizes being of a harder texture. 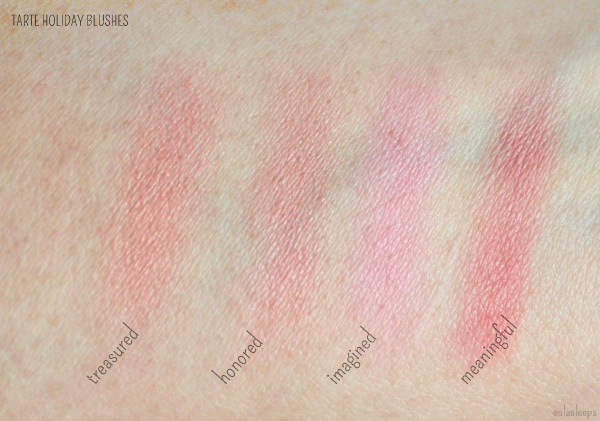 They all swatch with some very slight shimmer, but appear matte on the cheek. 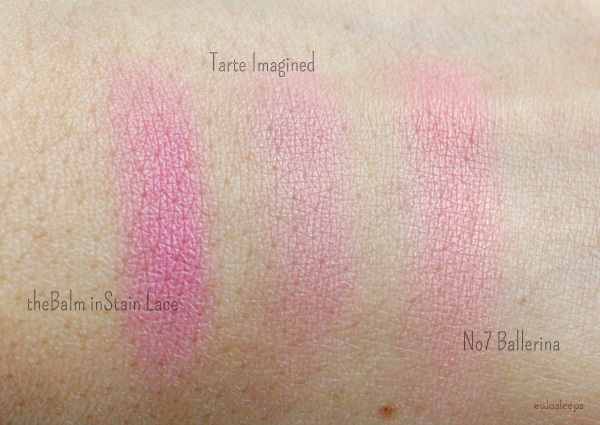 Swatches for comparison: Imagined is lighter and less intense than theBalm's inStain in Lace. 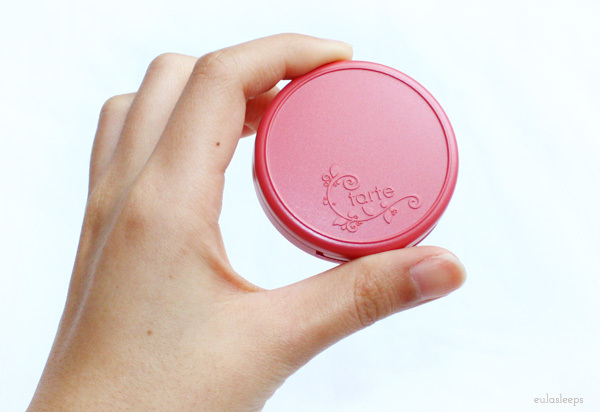 No7's Marble Blusher in Ballerina has a bit of coral mixed in. 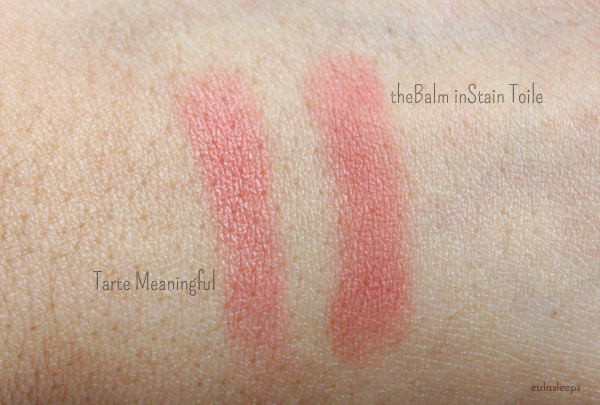 Compared to theBalm's inStain in Toile, Meaningful is less intense and has the tiniest bit of shimmer. 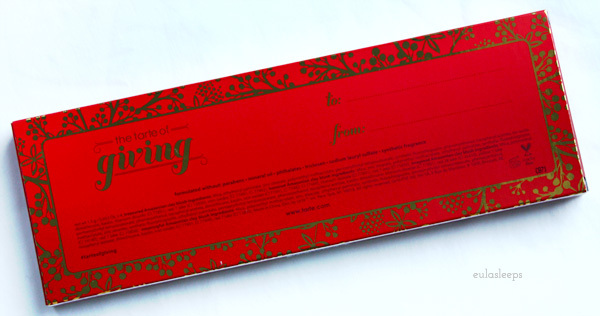 These are actually meant to be gifted, as you can see from the packaging with holiday colors and bow detail. As such, I gifted three and kept only Honored. 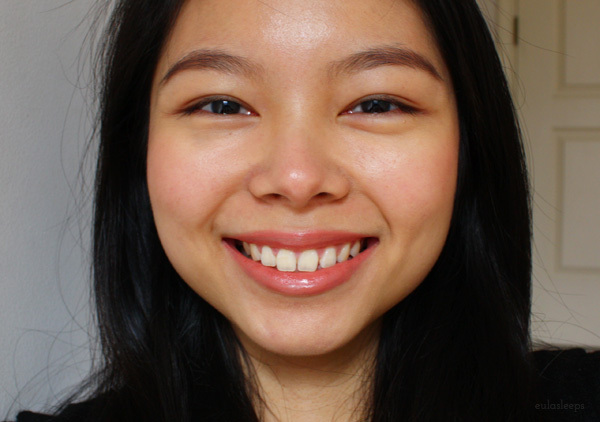 I thought the neutral shade would give a sun-kissed look, like bronzer but not quite. While it didn't quite accomplish that, I don't own any shade like it so I'm still happy. It looks very pinky/red in these photos but the effect is much more subtle in real life. 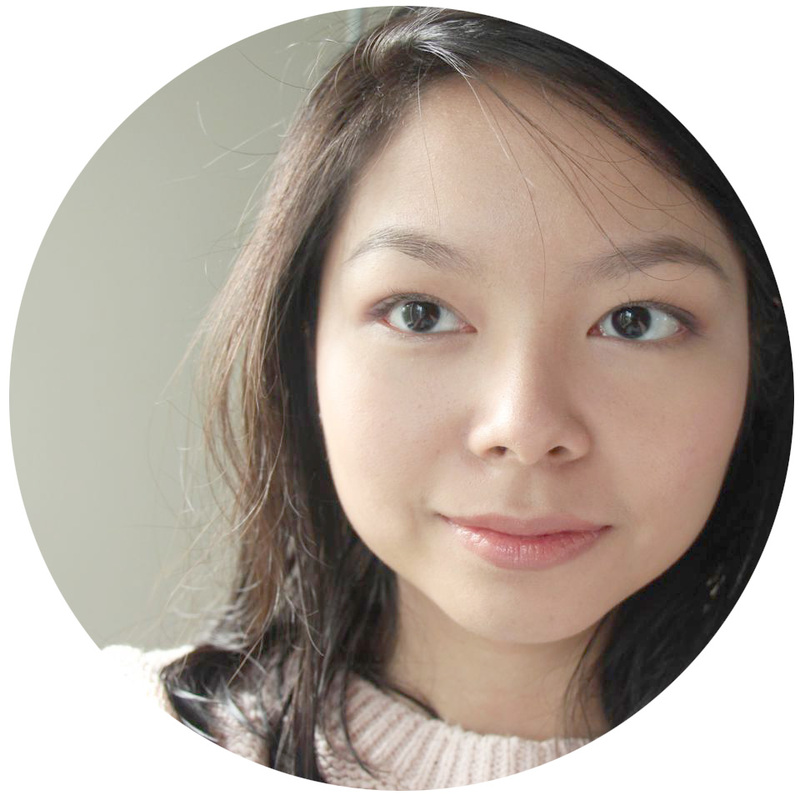 PS That is not a badly contoured cheek; I have natural shadowing in that area that I am still debating whether is good or bad. 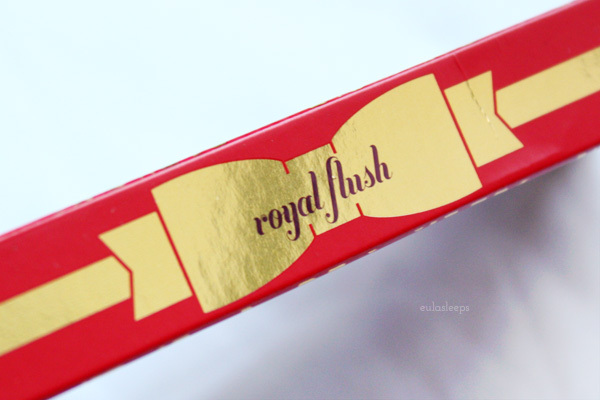 So how do these compare to theBalm's inStains? 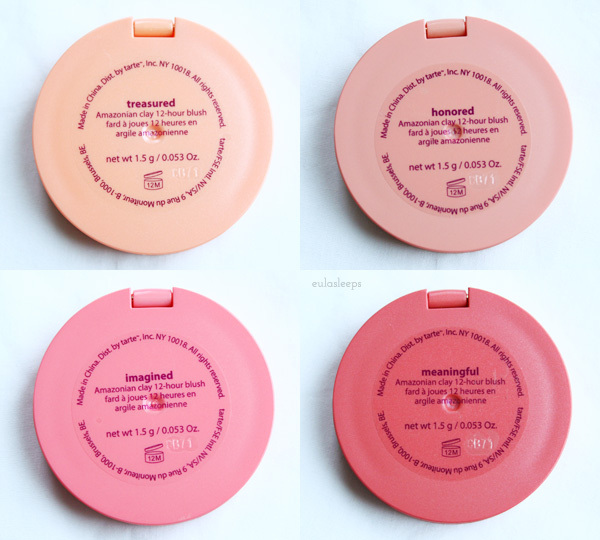 Well the inStains are definitely softer and more pigmented -- hence the name. 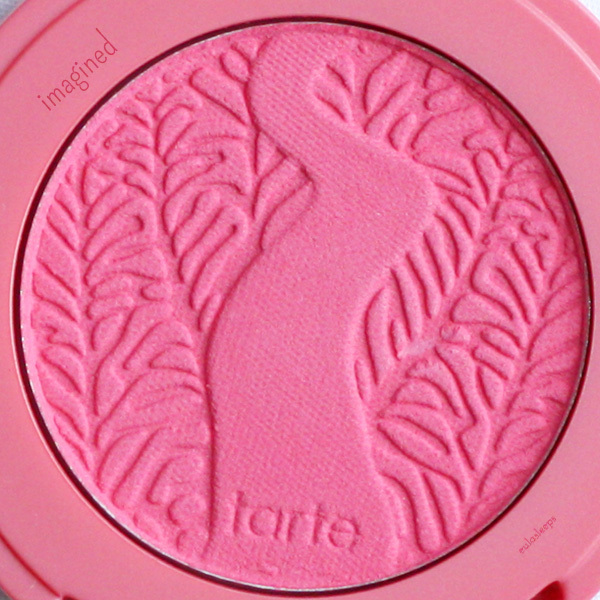 Tarte blushes are subtler, lending a more natural look. 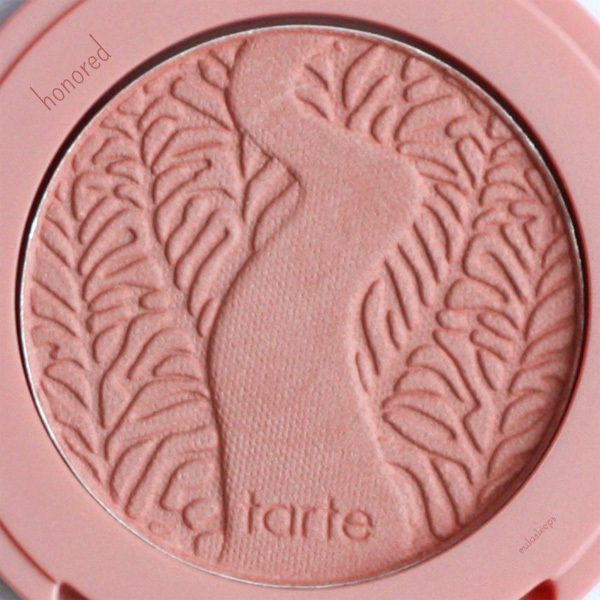 Those who are heavy-handed with blush need not be afraid. 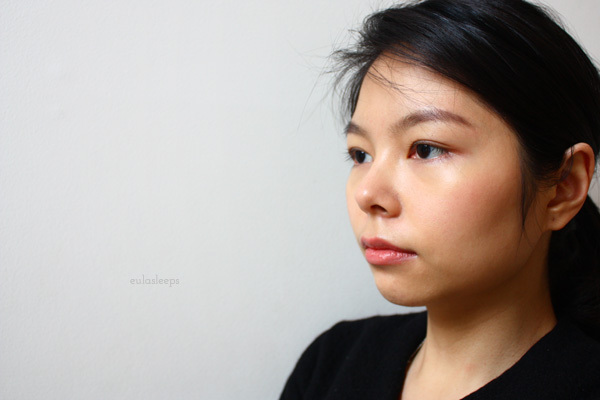 As for staying power, it's the same for both formulas: a solid 8 hours before any fading. 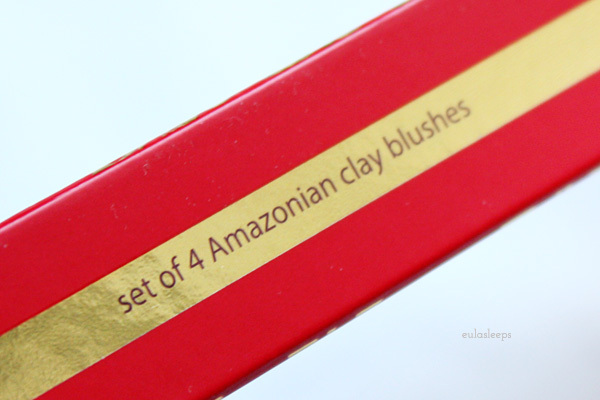 I got the Tarte Special Edition Holiday 4-pc Amazonian Clay Blush Set as a QVC exclusive at $29.12 USD.